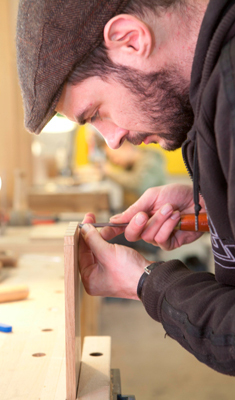 The Edward Barnsley Workshop invites applications for this year's apprenticeships. 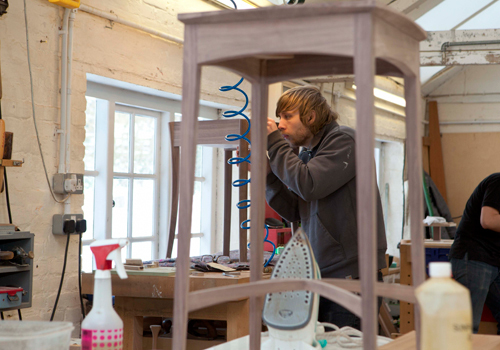 The Workshop was established in 1923 and continues to train apprentices in the traditional way teaching them how to make furniture to the highest standards. It is one of the best places in the country to learn the trade. Apprentices make their first pieces entirely by hand. As their skills develop they make progressively more complicated pieces. Alan Peters OBE (1933-2009) is perhaps the best known of the workshop's former apprentices. In recent years two workshop apprentices, Gary Tuddenham and Chris Wallis, have represented the UK at the WorldSkills competition. 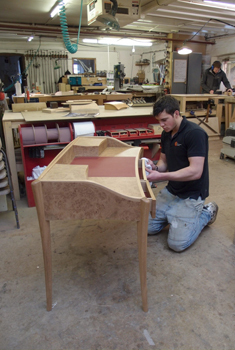 The Edward Barnsley Workshop takes on new apprentices each September. Competition for places is very keen. There are more than ten applicants for each place. The closing date for applications for the 2013 intake is 20 May.